When I was a kid you could buy discounted canned goods in a little store nearby. They were damaged. Some were labeled and some were written on with a Sharpie, and some you had no idea what was in them. But they were cheap. So you shake the can and listen to the rattle and slosh. 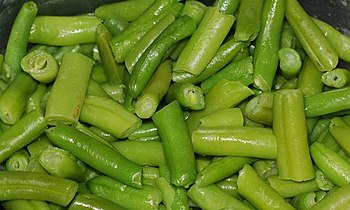 Does it sound like corn or green beans? Maybe peas. You can compare the cans by size and shape and sometimes match them. This is so much like dating it’s ridiculous, except without the shaking. Does he dress nice? What type of car does he drive? I-I-I don’t know, she’s rude to her mom, will she be rude to me later in the relationship? When we say I love you, we sometimes think we mean the same thing or that the other person understands what we mean. The label may say love, but is that what’s really inside? Love is just a feeling of connection to another person or object. It’s so easily misidentified as “I can’t live without this person.” There may be love inside there somewhere, but codependency is not love. Also, love doesn’t mean that this relationship is healthy. There are those I have loved that I had to get away from. I have active mirror neurons. People don’t come with labels and we can’t shake them to hear the rattle, but we can try to read the signs. Paranoia isn’t necessary but ask your friends who’ve met the person you’re interested in. Sometimes they’ll see things you don’t. Sometimes it’s only after a relationship ends in disaster that family and friends will speak up, but we need to listen to them earlier. So speak up people. If you didn’t need them, emotionally or physically, would you want to be with them? One of my issues in the past was romanticizing the relationship, projecting forward a future coupling of our perfect relationship and not living with the real relationship. It’s difficult to see the reality when you’re watching the fantasy. Take off the rosy glasses. Get real. Be as truthful with yourself as you possibly can then enjoy what you have. No relationship is perfect and all of them change, so it’s possible to think you start off okay and then watch it dive off of a cliff. If that’s the case, reassess and do what needs to be done. Life happens. Kindle Daily Deal! The Art of Loving by Erich Fromm for $1.99!